the “Drama game” which is how you play in downtime or flashbacks, for dramatic scenes/origin stories etc. the “Adventure game” which is basically an OSR game. What it doesn’t contain are details on the Demon Ladders which just wouldn’t fit, but those will come shortly in the complete SRD. But it should give you sort of an idea on how to play. Here’s the two sides. 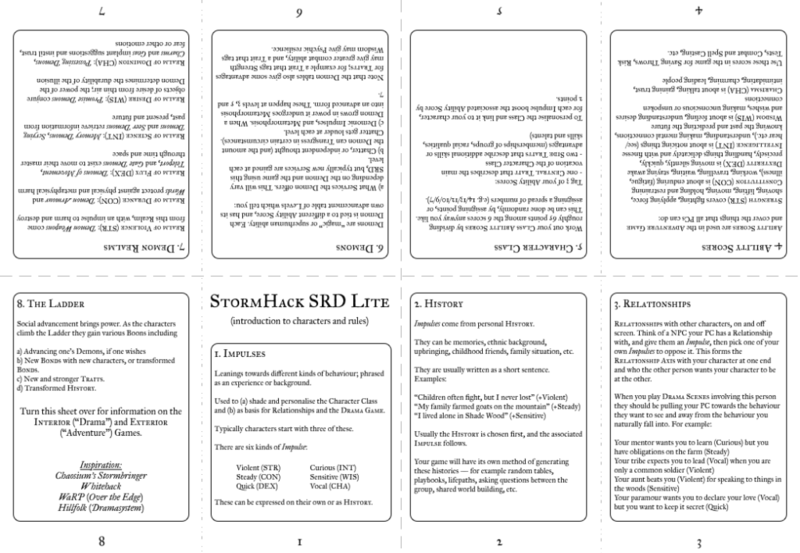 Print them on one sheet of paper, and make the little booklet as previously shown; when you open it up you should have the two modes of play in there. 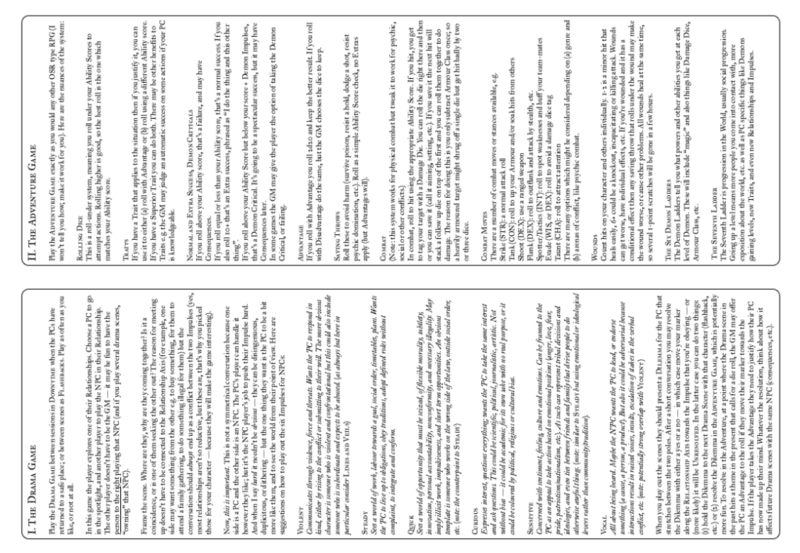 Here’s the thing in PDF, which may be useful if you’ve got a printer that does double-sided printing.